YHA London St Pancras has friendly reception and bar staff, clean rooms and a lounge which is 'real comfortable to hang around', according to our visitors, who say it offer value for money. One guest said 'I really had the impression that everyone was working to make my stay there as enjoyable for me as possible'. We like that the hostel is near King's Cross St Pancras station, making the location convenient for trains from Heathrow and Gatwick airports. We apologise for any inconvenience whilst we carry out the refurbishment but guests will be able to check in/out as normal and meals will be served in the lounge on the 1st floor. Opposite St Pancras International station and within easy reach of London's top tourist attractions, this is an exciting and convenient base for anyone exploring the city. Across the road from St Pancras station, home of Eurostar, and minutes from Euston and Kings Cross, this location is an ideal mid-trip stopover. Families will love its convenient location for Camden's vibrant markets, London Zoo, the British Library and British Museum. Visit our licensed café/bar for our city-style breakfast or relax over a light snack or full meal. 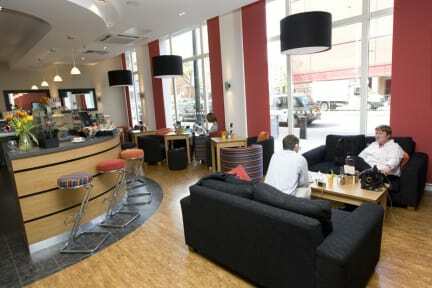 YHA London St Pancras has no self-catering facilities. We're not equipped for group bookings - please contact YHA London Thameside or YHA London Holland Park for group reservations. The desk staff were fabulous and I tekigeny and compassionate. I only stayed for one night as I was attending a nearby event the next morning. Great choice, very convenient. fantastic - only stayed for one night but staff were really friendly and helpful, location couldn’t be more ideal (I had a train from euston the next day), everywhere is clean, comfortable beds, lovely little cafe downstairs if you need food. Will definitely be staying again if I’m in the area! Great hostel, stayed in a private twin room. Perfect location, minutes from kings cross and st Pancras. Staff were very friendly. Room basic but clean and comfortable. Bunk bed with plug and light and shelf for both. Would stay again. I didn't like was bathroom wg8ch was only one for whole floor and the shower was very inconvenient. Good value for money. At the moment there are some construction stuff going on in front of the hostel. But than who dares to travel without earplugs? The hostel is nice and clean. The staff is very friendly and helpful. It's clean and tidy. Very close to the king cross station. The only thing I did not like is that there's no Wi-Fi in the rooms, you have to go to the common area and use the internet. I think that should be changed, rest everything is nice. Great spot near the train station. The room was clean and the beds comfy. I only wish there was a shower curtain in thur bathroom. Overall, great little spot. 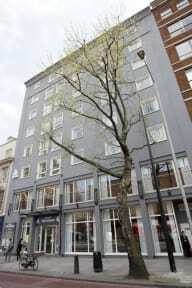 Very good location just opposite St Pancras and close to pubs and restaurants and other local amenities. I did not use the food and drinks on offer so I can't comment on these. The staff was friendly on arrival and departure but I did not have any problems so I did not have to Interact with them. Very clean room and ensuite bathroom. Secure entrance as you need the card at night to get in. Good sized Personal lockers for small backpacks and items in the room if you bring your own padlock. It was okay. Atmosphere was not good. The roommates kept fighting about politics the entire time and didn't want to go to sleep. Other than that, everything else was great. Location was perfect.